Cherry Mobile is not yet done with their 10th year Anniversary Sales. Last month, they sold the C26i feature phone for only P10! This time, they will have the most affordable Cherry Mobile Smartphone Sale! 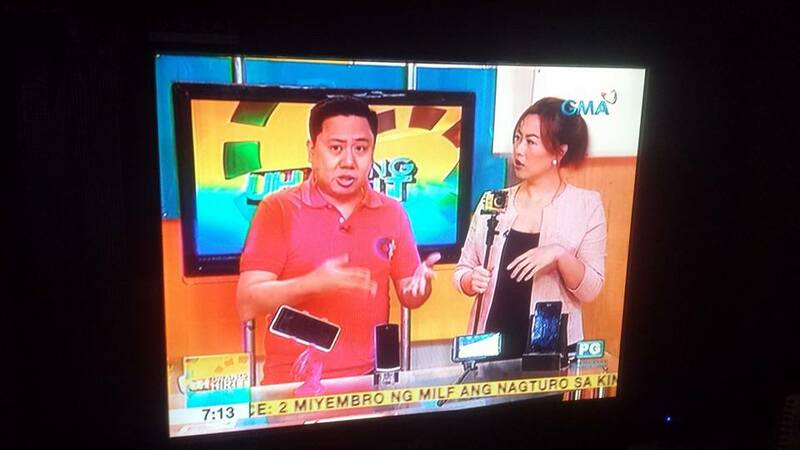 As part of Cherry Mobile’s BIGATEN Promos, Customers can have their own Cherry Mobile Flare Lite DTV 2 smartphone for only P1,010. The Flare Lite DTV 2 is the perfect companion to watch TV shows wherever you go. They are also offering other smartphone options for those who have a higher budget. Make your desires come to life with the Desire R6 Lite priced at P1,999 only from P2,499. Enjoy crisp and bigger mobile display experience with the Flare J3s that comes with a discounted price tag of P2,499 from P2,999. Unleash the brilliance in you while saving P1,000 off when you purchase the Flare S7 Prime available for only P2,999. 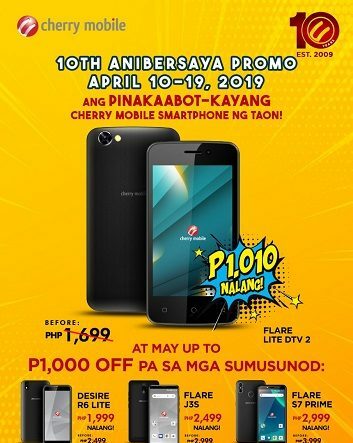 Purchase the Cherry Mobile Flare Lite DTV 2 or the other smartphones on sale at any Cherry Mobile concept stores and kiosks nationwide from April 10-19, 2019!